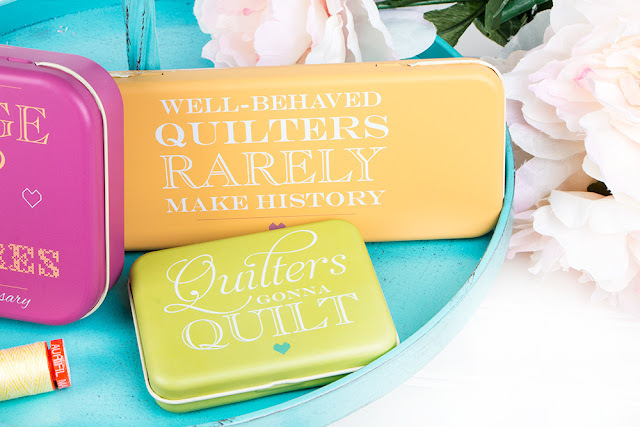 Fat Quarter Shop's Jolly Jabber: Trend(ing) New Tins from Moda Fabrics! 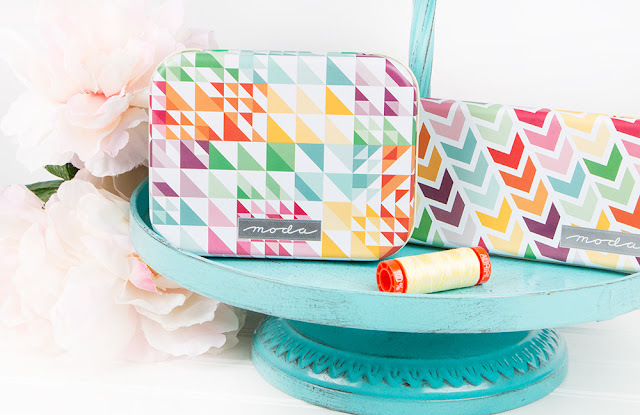 Trend(ing) New Tins from Moda Fabrics! 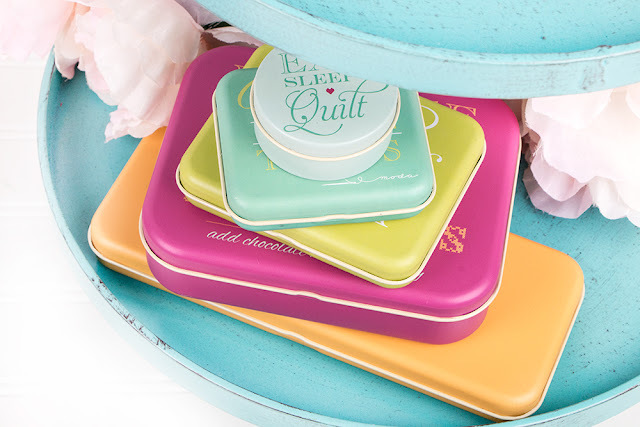 We have always loved tins, and now they're getting overhauled for today's quilters! 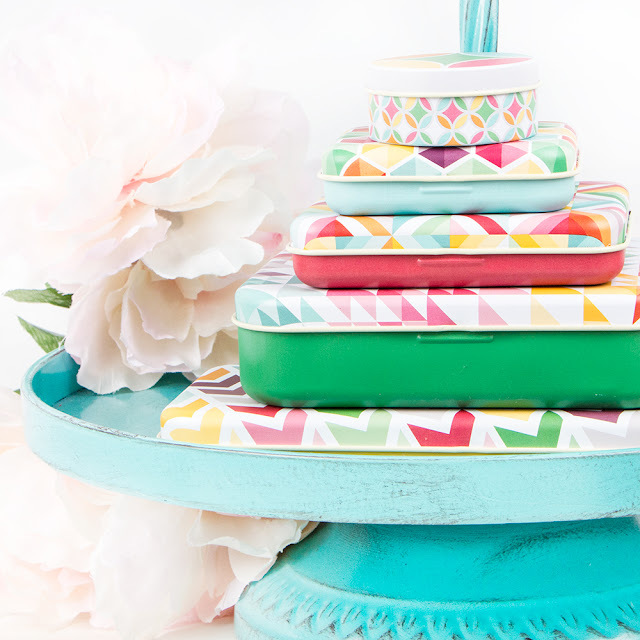 Moda Fabrics has released an awesome assortment of spunky new tins in two styles. All the tins are available individually or in two sets. The first set, "Blocks" is bright, graphic and cool. Grab some for yourself to store pins, needles, jewelry, maybe even a few Mini Charms! They also dress up little gifts well for your quilt-minded friends. Which set will you choose?